Now technology dramatically changed, what is the change of the city? Some old infrastucture were abandoned, Some were changed their original funciton. What it will be in future? Where is the best place for public housing? How to reuse the infrastructure to enhance the quality of living environment? What kind of infrastructure influence the food accessibility the most? TOPIC: Analysis and visual display of the context. PROCESSING: Date base of the environment. OUTPUT: AR, VR Display of the context. 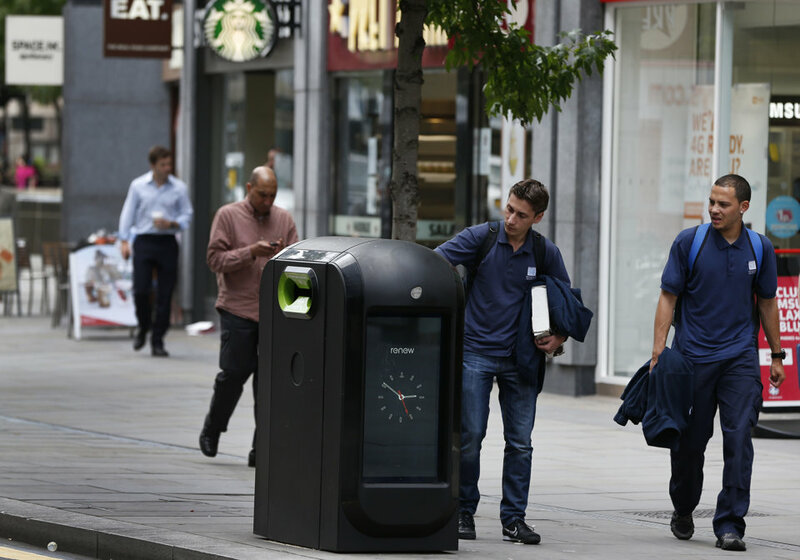 An advertising company, called Renew, is receiving backlash from inhabitants of London, for the sensors they have put in their “smart” trash bins. The bins, dubbed “smart” bins, measure the Wi-fi signals emitted by peoples cell phones and after multiple trash bins pick up the same wi-fi signal, the bins are able to determine the route that users took. Citizens of London have hit back and on August 12th officials demanded that all the bins be removed from the streets for personal privacy reasons. This is something that could provide the opportunity to track people occupying public transport or track people at stops. This could provide the potential to know, for example, where a certain user enters a bus and where he gets off. This could potentially allow the buses to identify patterns between users to be able to identify more acceptable bus routes. The intent of this post is to give potential ways of tracking people on CTA buses. There is currently no way of tracking individuals, nor who gets off at what stations. With the hopes of providing a prototype for a system that will give the CTA a more comprehensive analysis of their riders, several factors will be necessary. 1. There needs to be an accurate way to detect when a person boards the bus as well as when they get off. 2. There needs to be a way to detect multiple people and keep track of them as they shift through the bus. The wide spread use of cell phones would offer one way of tracking peoples movements. 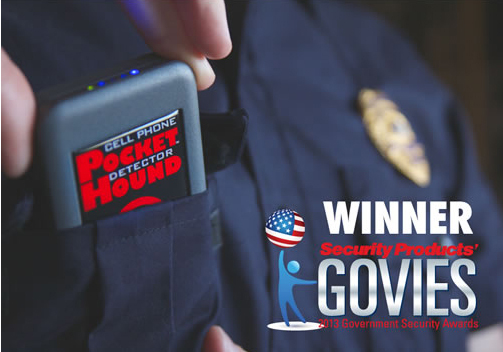 Cell phone detectors are common in prisons as cell phones have become one of the largest contraband items in prisons. These systems are relatively inexpensive and they are non intrusive, meaning they detect the radiation given off by phones and do not actually monitor phone usage. This second part is important because it allows us to track people without illegally monitoring their calls, texts, or data streaming. Here are links to the two most commonly used companies for cell phone detection. This is geared more towards protecting a wifi network but it still is capable of detecting cell phone uses anywhere from 5-100 ft. If hacked and set with an aduino circuit board this would give the opportunity to monitor the radiation given off by cell phones with reference to location on the bus. This system is as small as a deck of cards, which would be advantageous on a crowded bus. This detection is up to 75 ft which allows it to detect anywhere on a bus. If properly used this could allow for detection of peoples cell phones when they get on the bus and when they get off, essentially allowing to track multiple people and to better determine what are the busiest bus stops. The suggested prototype for this will not give the information on what the best bus routes but it will give the potential prototype for collecting the information necessary to determine this in the future. If you’ve ever used craigslist before then you know, it’s just not very good. That’s not to say you can’t find what you need on there. The site is full of amazing deals and goods and services of all kinds, but navigating it involves opening new browser tab after browser tab, going back and forth and generally losing your way. For those of you who are tired of the craigslist user experience from circa 1996, head on over to craiggers, the site that lets you interact with Craigslist the way you ought to. As the craiggers’ tagline says, the site is simply “craigslist data, better than craigslist!” It allows users a number of simple functions you’ve likely unconsciously wished for for years but didn’t even realize you were desperately missing. For example, the site separates navigation into a number of columns, so you don’t need to open listings in new tabs or hit the back and forward buttons all the time. Click on a result and it loads in the same page. Hit the down arrow or click on a different entry and it loads in the right most column without ever leaving the page. Beyond navigation – which is quite an improvement already – craiggers adds on a new layer of functionality when it comes to searching. No longer do you have to search simply within a single geographic area. As the site points out, “there are cases when searching outside your immediate community benefits both seekers and providers,” giving the example of searching for a stolen bike or adopting a dog. When you search on craiggers, you can specify that you want to see results from neighboring locations and it will show you those as well. Furthermore, if you wanted to search craigslist repeatedly, say for a job or an apartment, craiggers will not only let you save the search to repeat later, but it will also send you an email notification twice a day of results. As you can see, I haven’t put a lot of efforts to make this site pretty. I just wanted to make it usable. Making this API public is an effort to encourage others to create better websites than mine. You can set throwErrorIfOverLimit=false to get the top ‘maxrecords’ instead of error. Craigslist has just gotten a major cartographic upgrade. The popular classified advertising website has quietly begun testing embedded maps on ads for housing in the San Francisco Bay and Portland, Oregon areas. Craigslist’s new housing ad maps use data from OpenStreetMap, a website that seeks to offer free and reliable location data compiled by volunteers around the world (similar in principle to Wikipedia), as the OpenStreetMap Foundation firstobserved on August 21. “They appear to be hosting the maps themselves,” wrote Richard Fairhurst, a board member of the nonprofit OpenStreetMap Foundation, which coordinates the project, in an email to TPM. The move comes just about a month after Craigslist filed a copyright infringement lawsuit against two other web startups, PadMapper and 3taps, for using Craigslist housing ad data on maps. 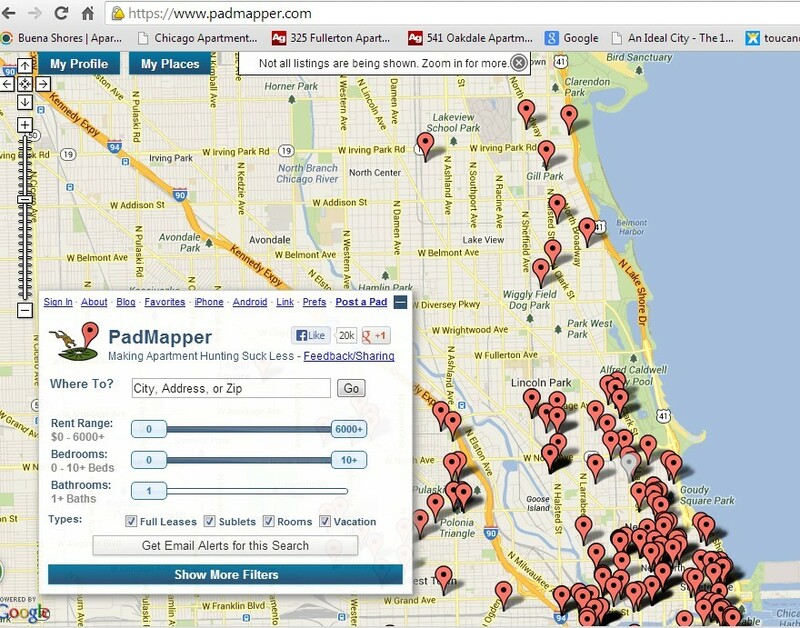 Specifically, PadMapper was sued for putting housing ads from Craigslist (as well as other brokers and realty listings websites) into a custom Google Maps view, showing the exact location of the houses listed in the ads as pins on a map. PadMapper said it obtained the data from 3taps, which in turn scrapes it from search engine listings of Craigslist posts. In response, Craigslist reportedly began removing its post listings from search engines and introduced, then withdrew a new agreement with users to the exclusive rights to their ad content. Craigslist was widely criticized by tech bloggers for its move to prosecute the two startups, all the more so because the company, which launched in 1995 and incorporated in 1999, has for most of its history been heralded as a beacon of Web openness and user-friendliness. So there’s a certain irony to Craigslist suing other companies for creating maps with Craigslist ad data — claiming a breach of proprietary content — then turning around and using an open, crowd-sourced mapping solution to create its own maps. It’s unclear whether Craigslist plans to expand the maps to other locations or post categories. Craigslist did not return request for comment in time for the publication of this post. Still, Craigslist’s new maps test is significant for another reason: The company becomes the latest major tech brand to choose OpenStreetMap over Google Maps for reliable location data.Apple, Foursquare and Wikipedia’s mobile app have all switched from Google Maps to OpenStreetMap this year alone. Major iPhone and iPad apps will also be changing from Google Maps to OpenStreetMap once it becomes the default on the iPhone and iPad this fall, with the release of Apple’s update mobile operating system, iOS6. period. Tapping into your bright side is easier than you’d guess. PhD, a professor of medicine and epidemiology at UCLA. and before you hang up, schedule a lunch date—personal contact is even better. works for you – giving thanks shouldn’t feel like a chore. quota daily. “Being spontaneously kind also delivers rewards,” she says. each week to write about or record—or even just mentally revisit—an important event in your past. motherhood. Subdivide each section into triumphs, missteps, and lessons for the future. the heroine in this tale. Institute for Social Research at the University of Michigan. Bigger isn’t necessarily best when it comes to quality of life. In a Gallup survey released this week of the U.S. cities rated highest for overall well-being, New York City, Los Angeles, and Chicago all failed to crack the top 50. By contrast, nine of the top 10 spots in the survey went to mid-size cities, with the Boulder, Colorado metro area grabbing the top overall spot. The only big city that cracked the top 10 was the Washington, D.C. area. Here’s how the rankings went among the largest cities in the country, defined as being those with one million or more residents (for the record, among the country’s biggest metro areas, Los Angeles grabs bragging rights at 62nd overall, followed by Chicago at 80th, and the New York metro area at 90th). The bulk of the CFSNC Collection chronicles the years between 1961-1980 during the Executive Directorship of Clarence W. Boebel. During Boebel’s tenure the CFSNC expanded the national Volunteers in Service to America (VISTA) program, founded pre-Kindergarten education programs (i.e. Head Start and Day Care), and created the United Settlement Appeal as a fund-raising mechanism for social service agencies. The CFSNC also cooperated with outside social service agencies such as the National Federation of Settlement and Neighborhood Centers, Welfare Council of Metropolitan Chicago, Chicago Committee on Urban Opportunity, the Model Cities project, and the Illinois Commission on Children. This collection reflects the history, activity, leadership, and mission of the CFSNC and its relationship with outside service agencies, government bodies, and the public. The bulk of the collection consists of material about social work in Chicago between the years 1960-1980. The collection illustrates the CFSNC’s efforts to improve child care, education, housing, and access to health care in lower-income neighborhoods in the City of Chicago. The files contain correspondence, photographs, newsletters, articles, brochures, professional journals, newspaper clippings, legal publications, handbooks, meeting minutes, and annual reports. The collection is divided into four series reflecting the administrative organization of the CFSNC. The committee file series illustrates the day-to-day operations of the CFSNC through meeting minutes, budget reports, and correspondence. The reference file series reveals the myriad community issues that Chicago social workers addressed from 1960-1980 and consists of reports, surveys, and studies conducted by local, state, and national social service agencies. 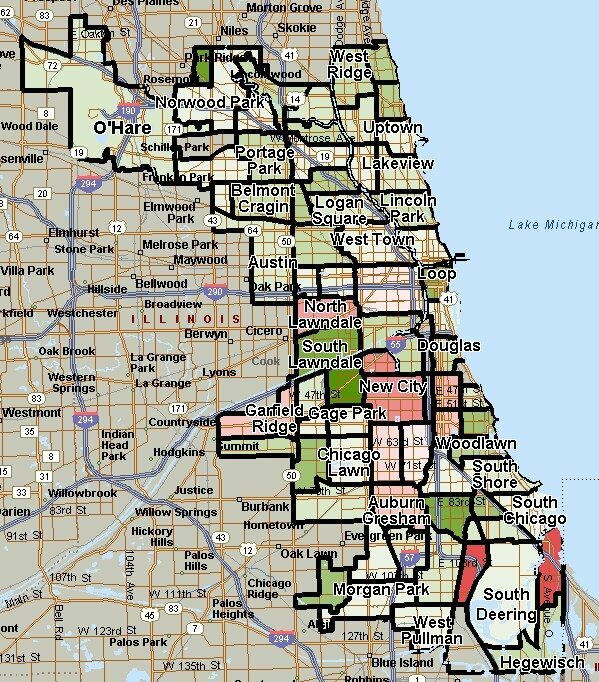 The member agency series includes organizational records of over thirty Chicago settlements and neighborhood centers between the years 1950-1970. The member agency photograph series contains photographs of Chicago area settlements between the years 1905-1975.